Written Jan 1994. Last Updated April 2014. This paper is a brief-narratives based timeline of self-evolving sustained community wellbeing action research commencing in the 1950s and sustained ever since within a Project in the Atherton Tablelands of beautiful Tropical Far North Queensland, Australia. In other Laceweb writings this form of Action Research has been termed Embodied Transforms Action Research; experiencing difference that makes a difference within one’s body being inherently transforming. Folk become aware of feeling and acting in better ways during micro-experiences of moving sensing feeling thinking and acting. What had been dysfunctionally integrated is transformed into new values-guided functionally integrated patterns - embodied knowing rather than reflective knowing. The actions described are evolving mutual-help based social transforming ways - including Peacehealing resonant with new forms of social movement focusing on relating well emerging in South America, SE Asia and elsewhere around the world. Peacehealing processes have been evolving through the Project and its precursors, and these seem to have resonance with whole-village-to-whole-village relational mediating used for over 250 years in Bougainville. Laceweb tends to happen at the margins. This is where transforming tends to happen in nature. This paper also replicates and illustrates the nature of the passing on of news of what works in evolving wellness in community through Laceweb networks. Typically, the focus is on news of actions that work – the processes used. Some things may seem simple and trivial and their accumulated effect is extremely potent. At times, precisely where things happened and who were involved is not passed on. The term ‘rumours’ has been used; these are functional rumours networks. Folk are encouraged to explore things that have worked for others in their own lives; adapting these ways to your local context. UN-INMA is one of many inter-connecting and inter-relating Laceweb self-help and mutual-help groups in the SE Asia Oceania Australasia Region emerging from mutual help wellbeing action in the Region, especially since the 1960’s and 1970s. 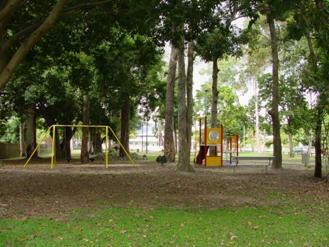 UN-Inma became a focus of action supporting wellness in the Atherton Tablelands. This action continues to emerge through folk being self-starters in taking back ability over their lives with others in community, especially through everyday acts enriching family-friend wellbeing networks. These folk are taking their own lives into their own hands, rather than waiting for others to service them. Dr Neville Yeomans had written a letter to the International Journal of Therapeutic Communities in 1980 providing an overview of his work from the 1950s onwards. This short letter specifically mentions Neville forming UN-Inma in Far North Queensland. The letter was published in the International Journal of Therapeutic Communities. Neville completed studies in biology, medicine, psychiatry, psychology, sociology, and law. Since A. W. Clark and I produced the monograph ‘Fraser House’ in 1969, I have moved to private practice in Cairns, North East Australia. This is an isolated area for this country, but is rapidly becoming an intercultural front door to Melanesia and Asia. ‘Up North’ the therapeutic community model has extended into humanitarian mutual help for social change. Two of the small cities in this region have self-help houses based on Fraser House. An Aboriginal Alcohol and Drug hostel is moving in the same direction, as are other bodies. These are facilitated by a network called UN-Inma, the second word of which is aboriginal for Oneness. The events of this Web Site occurred in places dotted around the following map. The above photo shows the hills around Yungaburra near Atherton in Far North Queensland, Australia. The rainforest covered ridge line in the distance is where the Tableland drop steeply to the coastal sugarcane fields edging the sea and Great Barrier Reef. This is an area of great natural beauty. The term ‘UN-INMA’ connotes Unique Nurturers – Interpersonal Normative Model Areas – linking nurturing folk who are very quietly and gently engaging in wellbeing artistry in everyday life – typically, simple acts in everyday life that contribute to folk being well; acts emerging during small and larger gatherings, celebrations, festivals, community markets and other happenings, or as folk go about everyday life. Folk dotted through Atherton Tableland are exploring linking networks and communities for the Region emerging as a model area evolving wellbeing norms – an Interpersonal Normative Model Area. Atherton Tablelands is a happening place; though you may go to the Region and not notice what this paper is talking about, even while it is happening all around you in everyday places. One has to learn to notice it. This is not about a ‘project’ as commonly known; the term ‘project’ is used in its original sense, from the Latin projectum - something thrown forth – the noun use of the neuter of projectus - from projicere to stretch out, throw forth, from pro- ‘forward’ plus combining form of iacere (iactus) - to throw. The Project is about a self-organizing phenomenon. No one organizes it or runs it. There is no entity to belong to or to be a member of. It is about folk creating lots of wellbeing possibilities in one area – recognising that life is full of well possibilities that may be tapped. It is akin to the free energy of gravity. It’s about creating wellbeing futures for ourselves - and then supporting each other as opportunities emerge and unfold as happenings. Folk are taking their own initiative in engaging in local wellbeing acts with others. Many of the happenings outlined here are not known by those actively engaged in other wellbeing acts in the Project. Playing with lots of possibilities and talking about lots of possibilities, and a few extraordinary happenings tend to emerge. Everything is very loose. Everything is emergent; given the time and place is right for it – it tends to happen. INMA acts are a hardly noticed way of being together with others. There is a playful simultaneity about, so that all you can have is your experience of it, and you may hear of something else that happens, or experience the afterglow of it three or four times removed. Over the years, quietly and without much fanfare, many INMA happenings have been remembered and passed on as stories and formally and informally written up as file notes, published and unpublished papers, field notes, published and unpublished books, published and unpublished reports, international and national conference papers, masters theses, and PhD dissertations. Archival material is in private archives, in the Mitchell Library in Sydney NSW, and the National Library in Canberra, Australia. The social science concepts ‘connexity’ and ‘Cultural Keyline’ have emerged from this action research using theorein – pre-theoretical theorising. The following Timeline of Actions outlines just some of the celebrations, events, festivals, field days, gatherings, happenings, parties, seminars, markets, workshops and other things linked to the Atherton Tablelands INMA Project since the 1950s. Two Sydney based artists evolve the Yeomans Project that is held at the NSW Art Gallery in Sydney bringing together, members of the Yeomans extended family and others to reminisce about PA Yeomans. The above photo shows some aspects of Keyline including the hilltop ring dam above the family home, (half way to the centre on the diagonal from his left hand) with irrigation channels and link channels to lower dams, contour tree plantings for wind breaks minimising water evaporation, and Redbank Creek along the bottom of the Photograph. Emeritus Professor Stuart Hill is a speaker at the Gallery. No artist or artisan ever has such broad control of the medium through which he expresses his own character and personality as does the farmer and grazier in the control he can exercise over his land. 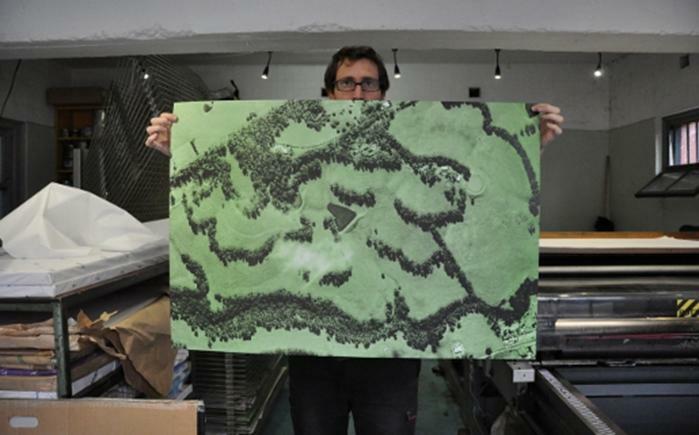 The landman can create his own landscape, but the artist gives only his impression of it. (PA Yeomans, 1958 - Challenge of Landscape). Neville’s use of Cultural Healing Artistry in extending of his father’s supporting nature thrive into supporting human nature thrive was introduced to the 55 present at the Yeomans Project at the NSW Art Gallery by a Laceweb member who linked this work to the UN-Inma Atherton Tablelands Project and further outreach through the SE Asia Oceania Region. Laceweb folk are invited to participate via the Internet in a Global Psychiatric Conference held in London on the theme ‘Self-help and Mutual Help Wellbeing Ways Supporting Folk with Mental Strife in Low and Middle Income Communities and Countries. Experience from the Atherton Tablelands Project and other Laceweb Action Research informs the content. Laceweb folk informed by the Atherton Tableland INMA Project provide support to folk in Kinglake, Victoria massively affected by the 2009 bushfires. Understanding from Laceweb INMA Project field days during 2012 in Yungaburra and Koah on the Atherton Tablelands inform action research into evolving new soil generating and food forests in peri-urban areas around Melbourne. UN-INMA through Total Care Foundation Inc. and the Keyline Foundation Inc., with behind the scenes support from EESOS (self-help group) and the Australian Wellness Association Inc. enables a series of eight wellbeing seminar-field days-workshops on the Atherton Tablelands; one at Malanda, three at Yungaburra, and four at Koah (refer map at start of this web-page). These workshops are towards sustaining wellbeing in all its forms including bodymind, communal, environmental, familial, habitat, inter-personal, personal, social, and soil. One of the Koah workshops combined vital immunity in soil and body while evolving well community. 25 people helped create new soil and then others arrived and we all helped in preparing and making a feast of life food – foods that still contain life force that are warmed not cooked. Locals are linking together in buying home-delivered organic vegetable packed boxes from a growers co-operative. Laceweb E-Books are launched at Koah, ‘Coming to One’s Senses – By the Way’ (Volumes One and Two), and a biography titled ‘Cultural Keyline – The Life Work of Dr Neville Yeomans’ (Volumes One and Two). The ‘By the Way’ books contain 130 stories linked to the UN-INMA Project and its precursors, rollout and outreach, and outlines aspects of the Way being used in wellbeing action. Complementing the Laceweb website, these six volumes are a significant resource relating to Laceweb Way. A series of Wellbeing Networking Gatherings takes place at Geoff Guest (OAM) and Norma’s Petford Aboriginal Training Farm (refer map at start of this web page) as well as at Koah and Kuranda - exploring possibilities for further extending and enriching Wellbeing-Networking between networks in the Atherton Tablelands Region. Geoff Guest and Alex Dawia’s links into PNG are explored. This seminar-workshop-field day series is modelled upon, and continues the Ways emerging through the fifty years of the INMA Project. Wellbeing Networking takes place informally in everyday life including during the Mareeba Market and Kuranda Market days. A commitment made at a workshop to follow up a theme with someone takes place the very next day by good fortune as they meet up at Mareeba Market - because someone from the workshop had passed on word at the Market that the person was there sitting and talking with the Speaker of the Queensland State Parliament at the Speaker’s ‘meet-the-people’ booth. This material is made available as hints for possible action in Bougainville in 2014 with discussing going on about this alongside other rollout among African and other refugee communities in Melbourne, Victoria. During 1970’s-1980’s, Dr Neville Yeomans’ visits Atherton Tablelands linking into Aboriginal and Islander family and community networks. Neville meets Norma and Geoff Guest at Petford Aboriginal Training Farm. Geoff and Norma are also very well known in these INMA networks. A number of Laceweb folk meet Dr Neville Yeomans in Balmain Sydney in August, 1985 just after he returned from the States after participating in Sensory Submodality Workshops with Steve and Connirae Andreas in Boulder Colorado. During 1991, Laceweb person from the SE Australia visits Neville in Yungaburra, and Neville takes this person out to Petford to meet Norma and Geoff. Neville also takes the person around the Atherton Tablelands region linking the person into many Aboriginal family-friend community wellbeing networks while visiting their communities in Atherton, Kuranda, Malanda, Mareeba, Mona Mona, Ravenshoe, Tolga, and other places in the Region. During 1993, a Laceweb person’s son on his own initiative travels and stays for ten months with Neville at Yungaburra and Neville introduces the son to the UN-Inma Project and to some of the Region’s wellbeing networks. 2012 That person and son visit Geoff and Norma at Petford Farm with a local enabler and meet an extended family – an Aboriginal mother, son, daughter, and two grandchildren who are staying at Petford Farm. That person and son hold eight seminar, field days and workshops through the Atherton Tablelands. A local enabler invites along an Aboriginal Elder to the Koah seminar/workshops. The Laceweb person had first met this Elder when the Elder was a youth in 1993 when the Laceweb person and Neville visited the Mona Mona Community exploring for potential festival sites. The Elder experiences the processes being explored at the 2012 Koah workshops as well as the communal wellbeing ambience in being with the other attendees. The Elder is well used to communal ambience. A local enabler has invited the extended Aboriginal family staying with Geoff and Norma to the Koah workshops and they are all present and meeting all of the other participants. The Laceweb person and son are making a second visit to be with Geoff and Norma on their property way out in dry rocky country 16 kilometres out of the very small town of Petford (three houses) – beyond Dimbulah. A local enabler brings along the Elder and an elder aboriginal woman to Koah to go with the Laceweb person and son to Petford. Both these aboriginals had known Neville. The elder women is very good friends with Norma and really enjoys the day sharing news of family friend networks. The extended family are back at Geoff and Norma’s. There is also an Aboriginal father who has come down from the tip of Cape York around 1100 kilometres away. He had been with Geoff and Norma as a young Adolescent. He has brought news of many of his friends and their children who have been among over 3,500 youth supported by Norma and Geoff over the past thirty years. He has also brought a lawn mower, and he and his children cut all of the lawns around the house at Petford for Geoff and Norma. Another two fellows turn up who have heard that Geoff’s ride-on-mower has broken and they take the ride-on-mower to pieces to find out what parts they need to fix or replace. A few weeks early one of these fellows had asked Geoff in Mareeba if he could borrow Geoff’s four wheel drive vehicle for about half an hour and Geoff lets him use it. Half an hour later the fellow returns Geoff’s vehicle with four new tyres. Another person is staying with Geoff who has a background in tertiary teaching and is a qualified vet. He is helping Geoff voluntarily. There had been 26 people at Geoff and Norma’s place that day. The Laceweb person from SE Australia observes and records the life transforming processes used by Geoff in engaging with others as this person has been doing on regular visits since 1992. These processes are available to pass on to others. Altogether there were over 100 people linked into this wellbeing networking at very short notice during January 2012, and a number of these were linked into networking back in the 1970’s, 80s, and 90s. All of these people are currently sharing news of good things that happened through their own nested networks. During engaging with the Inma Project in Jan 2012 folk are engaging in what has been termed Cultural Healing Action or Cultural Healing Artistry. All forms of artistry are embraced for supporting transforming towards wellbeing. Cultural Healing Action has emerged from Vanuatu and other Pacific Cultures as well from Australian Aboriginal people and is now spreading through the SE Asia Oceania Australasia Region. Philippines Educational Theatre Association (PETA) is one foci of Cultural Healing Action. Contexts are set up where people can explore aspects of their own wellbeing together with others towards enriching wellbeing in family and community life. Throughout remote areas of Northern Australia and the SE Asia Pacific region, indigenous, small minority, and intercultural people have a long history of using Cultural Healing Action towards fostering and maintaining all aspects of wellbeing. Many processes have evolved and are being documented as an integral aspect of the Inma Project. In November 2012, consistent with Neville’s On Global Reform Paper Laceweb folk from SE Australia visited Cairns and the Atherton Tableland to coincide with the Total Solar Eclipse and held the Total Care Foundation Eclipse Silent Disco Celebration on the Cairns Esplanade adjacent the swimming pool area. They also visit Koah, Kuranda, and stayed out at Geoff and Norma’s Healing Farm at Petford evolving a cold compost and a bush materials vertical vegetable and herb garden. Similarly, Laceweb folk from the South East including a Laceweb person from the Kinglake Region in Victoria, an area affected by the massive fire storm that devastated that Region in Feb 2009, visited Cairns and the Atherton Tablelands in February, 2013. They were linking with folk experienced in Permaculture and a range of healing ways on innovating properties in Kuranda and Ravenshoe. They also had a walk over a substantial landholding acquired by a Community Group in the Atherton Tablelands. They offered this group support towards energising wellbeing festivals on their property. With enabling support from self-help groups Connexion, EESOS, Extegrity, Inma Nelps, Keyline, Family Nexus, Mediation Matters, as well as Nexus Groups, UN-INMA energises a series of small gatherings in Cairns, and at various places on the Tablelands on Wellbeing Networking. These gatherings are supported by the following entities: Australian Wellness Foundation (Inc.), Keyline Foundation (Inc.), and Total Care Foundation (Inc.). EESOS and the Keyline Foundation draw upon the Atherton Tablelands INMA Project in evolving and using Extegrity (see later) an extensive model of Wellbeing Artistry Action for re-constituting collapsed and collapsing societies and their way of life and livelihoods following man-made and natural disasters. This is extended when Laceweb folk, with the support of over fifty academics, evolve a Aus$380 million model project for the reconstituting of livelihoods and village wellbeing of a collapsed States modelled on Extegrity (see later) and the Inma Project and its outreach. Laceweb folk from the South join Alex Dawia and others and have highly sensitive meetings in Cairns with significant parties involved in Peacehealing and reconciliation in Bougainville PNG following the ten year conflict and evolve a recommendations document that was commissioned by one of the parties and distributed to significant parties. Dr Rex Haig - psychiatrist with the UK Community of Communities, the Community Psychiatry body of the UK College of Psychiatry - meets and has discussions with Alex Dawia, Geoff Guest, and David Cruise, one of the directors of Down to Earth Victoria (Inc.) and other Laceweb folk in Melbourne, Victoria, who all brief Rex on the history of the Atherton Tablelands INMA Project. Dr Haig also briefs the above folk on the resonant role of the Community of Communities and other resonant bodies in the UK, Europe and wider a-field. Dr Haig stays in contact with Laceweb folk in sharing news of the rollout of the Atherton Tablelands Project, which is evolving as a model of global significance. Through experience gained and written up with Dr Neville Yeomans in action researching the Atherton Tablelands INMA Project, a Laceweb person through UN-INMA is engaged by the Centre for Integrative Development Studies in Manila, Philippines through non-UN funds auspiced by the UN, to travel through seven SE Asia countries to find and link up wellbeing natural nurturers among indigenous and oppressed small minorities. In this role the Laceweb person finds natural nurturer networks through SE Asia. Experienced gained in action research with Dr Neville Yeomans is used in finding and linking up natural nurturers through the Indigenous and small multicultural minority communities on the Atherton Tablelands. Two hundred and forty people and Forty-Nine Natural Nurturer Networks through the SE Asia Oceania Australasia Region are found and formed into a network of networks with links evolving and continuing with Australian Top End self-help groups and networked networks. Through the Philippines University Psychology Department’s Centre for Integrative Development Psychnet Project, a UN-Inma person engages in Cultural Healing Arts in sharing healing Ways in Baucau, East Timor using experience gained through the Inma Project. Through UN-INMA and Extegrity (see below in 1999), Geoff Guest from Petford and Alex Dawia from Cairns are invited to attend a Wellbeing Gathering held in the Philippines of 49 wellbeing healers from eleven countries organised by SE Asia Emergency Response Network with its Secretariat in the Centre for Integrative Development Studies in the University of the Philippines – now an independent institute. This gathering is co-facilitated by Professor Elisabeth De Castro, University of the Philippines, Ernie Cloma Philippines Educational Theatre and a Laceweb person from UN-Inma to evaluate resources developed for the Network by Laceweb. These resources were for evolving culturally sensitive psychosocial support in the context of man-made and natural disasters. The resources enabled the evolving of rapid response teams able to rapidly assess local psychosocial resources and resilience. University of the Philippines, Centre for Integrative Development Studies has been working through UN-INMA. Laceweb folk share their experience of the Atherton Tablelands INMA Project with the other attendees of this International Wellbeing Gathering. Through UN-INMA and Extegrity (self-help group) - with support from Down to Earth Victoria (Inc.) - people come to Australia from Cambodia and the Philippines, including Professor Violetta Bautista – world renowned for her work on resilience in children under stress, for firsthand briefings on the UN-Inma Project and to attend gatherings for sharing healing ways and to attend ConFest and participate in the workshop scene there. Laceweb person is a speaker at the Asia Pacific Social Psychology Conference in Manila on the Atherton Tablelands on Laceweb and the UN-Inma Project. Laceweb person completes a PhD that has UN-INMA Atherton Tablelands INMA Project and its local, regional and international outreach as one of its main themes. Laceweb people fly in to Cairns Atherton Tablelands Region to be with Geoff Guest and one of them records Geoff Guest telling healing wellbeing stories that form a potent aspect of Geoff’s supporting at risk adolescents transforming their lives. Geoff also takes these Laceweb people to Kowanyama Aboriginal community up on Cape York and the group meet up with 12 young men who had all been through Petford and their stories post-Petford are shared. The group also meet up with a father who had been to Petford who had also sent his son to Petford to have Geoff and Norma’s transforming influence. A Professor at University of the Philippines, writes a paper called ‘Exploitative Work – Child Labour’ (2003) that uses UN-INMA’s work in the Laceweb new-form social movement (Evers, 1985; Ireland, 1998) in the SE Asia Oceania Australasia Region, including the Atherton Tablelands UN-INMA Project, as a model of Global Wellbeing Action. Book Launch in Brisbane of a collection of over 1,000 poems written by Dr. Neville Yeomans, two of which, ‘INMA’ and ‘On Where’, are expressly about the Atherton Tablelands UN-INMA Project and a number of which gives hints of the transforming Ways used within the Project. In 2002, a Laceweb person linked to UN-Inma is invited to participate at an Experts Meeting auspiced by the Regional Office of a UN Agency in the Region. Through sharing about the Atherton Tablelands Inma Project and natural nurturer networking in public places, The Laceweb person is invited to travel through seven SE Asian countries to link up indigenous and small minority natural nurturers into an extended network in the Region towards locals supporting grassroots locals in culturally appropriate ways following manmade and natural disasters. Over the next 18 months that Laceweb person finds 240 people in 49 networks and links them together into Psychnet. In 2000 and 2002, gatherings energised by INMA Nelps and UN-INMA are held in Cairns titled ‘Self-Help & Mutual-help Action Supporting Survivors of Torture and Trauma in SE Asia, Oceania, and Australasia’. These gatherings are attended by folk from East Timor, West Papua, as well as PNG mainland & Bougainville. Aboriginals and Islanders and resonant others from Australasia and overseas also attend. As well, these Gatherings are used to evolve experiential resources for training people in psycho-social-emotional response to man-made and natural disasters, and for supporting the evolving a SE Asia Pacific Self Help Trauma Support Intercultural Network engaging in mutual-help. Inma Nelps and UN-INMA support folk at the above gatherings signing the UP & UYP Treaties. A Laceweb person holds different prolonged co-learning healing wellbeing discussions with a number of Bougainville people who had been caught up in the conflict in Bougainville and who had travelled down to Cairns..
2001 A Laceweb person and Professor Stuart Hill from University of Western Sydney (now Emeritus Professor) visit the Yeomans Keyline farms Nevallan and Yobarnie in North Richmond, NSW – a precursor to the Inma Project. 2001 Laceweb people (including one of Sri Lankan background) travel 3,500 kilometres from Melbourne to Cairns to stay with Geoff Guest and Norma at Petford inland from Cairns and observing Geoff’s processes while he’s working with young men using engaging with wild horses as a primary transforming agent; also listening to and documenting Geoff’s healing storytelling processes. 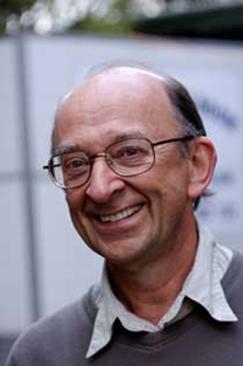 During 1999, Dr Neville Yeomans with other Laceweb input write the Extegrity documentation relating to local and lateral grassroots processes using self-help and mutual help for re-constituting collapsed or collapsing societies, a reversed isomorphic reframe of top down processes invariably implemented by the dominant system – elect a nation government, set up a legal system, court system, and a police and prison system and look after common folk last. Extegrity way reverses this - supporting locals in peacehealing while locals are together reconstituting their way of life together in their place – reconstituting their way, their values, their culture, and their lore. From this lore emerge local norms and eventually their law which spreads to re-link local communities and evolve local governance, and this local-laterally spreads to embrace regional governance, which further local-laterally spreads in reconstituting global governance of their society. Extegrity (extensive integrity) evolves as a self-help group energy enabling Extegrity review of action research in the networks of wellbeing networks if locals want this; Laceweb folk with others in the Region and internationally are providing support. Alex Dawia - a Bougainville person living in Cairns who is founder and director of the Bougainville Survivors of Torture and Trauma Foundation - is invited to participate in a Training Seminar in Denmark on Supporting Survivors of Torture and Trauma. 1998 Alex Dawia becomes a PhD candidate at James cook University with the theme ‘Therapeutic Community Wellbeing Processes and Aboriginal Communities’. 1998 – Another Laceweb person commences a PhD on Dr Neville Yeomans’ including ongoing action research on precursors to the Atherton Tablelands INMA Project. This Laceweb person introduced into the Atherton Tablelands Region by Dr Yeomans in 1991. Alex Dawia is invited to Israel to provide background to the Atherton Tablelands Inma Project, and to study their community approaches in working with at-risk youth. A Laceweb person meets separately with Professor Alf Clark and Dr Terry O’Neill, in researching the precursors to the INMA Atherton Tablelands Project. Professor Mulligan with Professor Stuart Hill, a world renowned ecologist and social ecologist, publishes a book ‘Ecological Pioneers: A Social History of Australian Ecological Thought and Action’ that also explores precursors to the Atherton Tablelands INMA Project in the work of the Yeomans family relating to their developing of Keyline, and Neville’s evolving of Cultural Keyline processes from the 1950s onwards. During 1999-2002, Follow-On Gatherings to the Small Island Coastal and Estuarine Gathering Celebration at Lake Tinaroo on the Atherton Tablelands in June 1994 are funded by the Jesse Street Foundation in NSW, and energised and held by the Self-help Group INMA Nelps. That Gathering Celebration was funded by the UN Human Rights Commission in Geneva. Treaties are signed regarding relating with Unique Peoples and Unique Young Peoples. A series of gatherings take place in Petford and Cairns on sharing wellbeing ways energised by Nexus Groups and Inma Nelps (self-help groups). Experience of Aboriginal and Islander women in attending the 1992 Gathering at Petford (see below) inform and energise their engaging with other locals in urban renewal in Mooroobool and Manunda in Cairns enabled by Akame (self-help group – with the Islander term ‘Akame’ meaning ‘grandmother and me’); examples of wellbeing action – firstly, a group of elderly Aboriginal and Islander women carry out a community safety audit in the early hours of the morning, and secondly, local at-risk aboriginal and Islander youth devise a rescheduling of bus services in a report to council. A park that was a hangout for drug takers is transformed into a delightful child play space and floodlit at night. Group public housing without a hint of greenery is transformed with full participating of residents into a resort like atmosphere. UN-INMA enables a number of Bougainville people to come to Australia to share in healing gatherings in the Atherton Tablelands, and to attend ConFest, and have briefings and sharings of healing ways, including experiential workshops on Bougainville whole-village to whole-village mediating processes. One of these is a member of the PNG national parliament representing Bougainville. Another held a masters degree in psychology from an American university. This Bougainville whole-village to whole-village mediating processes and many other healing ways were also real-played with 35 healers by Alex and myself down in Hobart Tasmania over three days. The woman who drove me back to the Hobart airport said that she and many of her friends were massively influenced by Dr Neville Yeomans and Fraser House in the 1960s. Dr Les Spencer uses NLP modelling experience in modelling Dr Neville Yeomans and others who facilitated Big Groups (180 people) at Fraser House. This modelling especially extended to exploring firstly crowd and audience effects; secondly, the role of the group leader-facilitator during Big and Small Groups at Fraser House Therapeutic Community, particularly in drawing Group attention to role-specific functional-in-context behaviours within the interactions; thirdly, evolving models of excellence in NLP of Groups, NLP of Social Networks, and NLP of Community. Dr Spencer experiences using these audience and crowd processes during over 200 experiential workshops with between 150-180 folk attending (over 30,000 attendances) and writes up this experience. These models and processes are rolled out within the Atherton Tablelands INMA Project and through UN-INMA and other energies through the SE Asia Oceania Australasia Region. A Bougainville person completes his PhD on exploring mutual-help and self-help processes for reconstituting societies following Conflict. Les Spencer travels to Armidale in North East NSW to have discussions with this Bougainville person and reads his PhD in the late afternoon and through the night so as to be able to discuss the PhD with him before his imminent departure. Les mentors him while sharing ways of the Inma Project and its precursors. This person then takes these understandings into supporting integrative reconstituting of Bougainville cultural life-ways following the Bougainville Conflict. During a fortnight of intense Networking Action in January 1994 energised by Mingles (self-help group) and INMA Nelps, many happenings, events and gatherings take place in the Atherton Tablelands Region including (i) FUNPO (self-help group) enabling nearly all of the young people of Yungaburra preparing Dr. Yeomans house at Yungaburra for a New Years Eve party; (ii) INMA-Nelps staging of that party, (iii) Mingles (self-help group) energising a three-day dance and party on Neville’s property in the rainforest at Kuranda. Down to Earth Victoria, organisers of ConFest, the Conference Festival first held in 1976 with Deputy Prime Minister Dr Jim Cairns’ support, send four of their folk (experienced in Festival site selection and setup) who visit 15 sites owned by Aboriginal Groups and others on the Atherton Tablelands as potential sites for the proposed ‘Small Island Coastal and Estuarine Gathering Celebration’ proposed for June 1994. DTE (Vic) Inc. also provide funding for an Aboriginal woman and an Islander woman who are potential hosts of 1994 Festivals up North to attend the Easter 1994 ConFest at Tocumwal in NSW to explore ways of evolving and hosting Festivals, as both had no prior experience of doing that. DTE (Vic) Inc. also send many thousands of dollars in seed money as well as equipment, when the UN money from Geneva is late arriving, and the funds and equipment are returned to DTE after the Gathering Celebration. Following UN-INMA enabling Action, the UN Human Rights Commission agrees to provide Aus$15,000 to support the ‘Small Island Coastal and Estuarine Gathering Celebration. Local Aboriginal and Islander women agree to evolve this Gathering Celebration and be the hosts. None of them had any experience in evolving or running a Gathering Celebration which takes place at Barrabadeen Scout Camp at Lake Tinaroo in June 1994. Barrabadeen Scout Camp on Lake Tinaroo. 600 folk attend including Islander women from Torres Strait Islands, Aboriginal women from One Arm Point 200 kilometres North of Broome in Western Australia, Ceduna in South Australia and other places. The son of Eddie Mabo, the Torres Strait Islander who was responsible for major land reform challenging Terra Nullius in Australia, also attends. Through profound under-standing of local Aboriginal and Islander networks, a host of the Gathering Celebration – who had travelled down to the Down to Earth Easter ConFest - hears the stories of a member of the Stolen Generation who is attending the Gathering Celebration from South Australia, and reconnects her with her family in the Atherton Tablelands Region after over 30 years of separation. One hundred and ten folk from the Byron Bay - Lismore area in NSW also attend. These folk had heard about the Gathering from Dr Les Spencer who expressly stayed in that region for six weeks prior to the Gathering Celebration inviting people with healing artistry experience to attend the Gathering Celebration. Dr Spencer had sought funding for a 30 seater bus and when this funding action failed, around 110 made their own way north and surprised Les when he met them all one evening doing fire twirling and drumming on the Cairns Esplanade. This visit by the 110 extends the regular visiting of healing artistry people from the Byron Bay - Lismore area to the Atherton Tablelands. As agreed with the UN Human Rights Commission, a Report on the Gathering Celebration with an Audited Statement of Financial Disbursements along with a set of Photographs was sent to the Commission shortly after the Gathering Celebration finished. The First Nations people of Canada seek two articles for their magazine, ‘Healing Words’ about wellbeing action through the Atherton Tablelands Region including the processes used by Geoff Guest in healing storytelling and softening substance abuse, and these two articles are published in separate issues of Healing Words and distributed through all of the indigenous communities through Canada. Following Federal Government interest in the 1992 self-help and mutual-help gathering at Petford in the Atherton Tablelands region (see later) Inma Nelps receives offers of substantial funding for setting up therapeutic community based alternatives to psychiatric and criminal incarceration for Aboriginal and Islanders from the Federal Health Department. This funding offer is not taken up by the Elders. Rather, Dr Neville Yeomans, Terry Widders, and Dr Les Spencer prepare a short paper called ‘Government and the Facilitating of Grassroots Action’. Dr Les Spencer meets with top government people in Canberra who realise why their funding is not being accepted. These government people acknowledge that while all levels of governments use the service delivery model, they have little or know knowledge of community self-help and mutual-help processes outlined in this paper. They further state that the processes outlined in ‘Government and the Facilitating of Grassroots Action’ are decades ahead of where the Federal Government (and other levels of government) were presently at; little has changed in the intervening years. Neville set his Yungaburra home up as a base for a self-help group called ‘Mediation Matters’ and runs a series of mediation workshops. Linked to this he organizes local Aboriginal and Islander women around Atherton to host the Lake Tinaroo Mediation Gathering in November 1993. This is held at Lake Tinaroo near Atherton on the Atherton Tablelands. A number of Aboriginal nurturer women come across 3,159 km from Yirrkala in Northern Territory and other remote communities in the Top End and participate in co-learning at this Gathering. Mediation Therapy was a key theme. Following UN-INMA and Total Care Foundation enabling, the UN funds Alex Dawia, Bougainville person living in Cairns as a platform speaker at UN NGO 'Small Island' Conference in the Caribbean in 1994 on the theme ‘The Small Island Coastal and Estuarine people Gathering Celebration as an integral aspect of Healing Action in the Atherton Tablelands’. Neville arranges for Les to give Marjorie Roberts a lift from Cairns via Gordonvale up the range through the rainforest to Yungaburra. While in Gordonvale Marjorie visits her cousin and over a cup of tea they exchange news of over five hundred people they know – communal networking for social cohesion as an inherent aspect of life. Marjorie is the one that hosts with other Aboriginal Islander and small minority women the 1994 Small Island Coastal and Estuarine Peoples Gathering Celebration funded by the Human Rights Commission in Geneva. Professor Clark, who was the head of the Outside Research Team at Fraser House and who co-wrote with Neville the book ‘Theory and Evaluation of a Therapeutic Community’ writes his book ‘Understanding Social Conflict’ and writes that Fraser House and its Inma and other outreach is still the best model for resolving social conflict that he has found. UN-INMA, Connexion and Inma Nelps set up at Petford a Wellbeing Gathering called ‘Developing Aboriginal and Torres Strait Islander Drug and Substance Abuse Therapeutic Communities’ with over 100 Aboriginal and Islander healers attending from the Top End. Through UN-INMA enabling action, three Aboriginal communities fly in to Geoff Guest's Therapeutic Community over 70 Aboriginal and Islander healers from Northern Australia, including off-shore islands for a healing sharing gathering. A bus load of women and children are brought to the Gathering by the Akame self-help group. As well, two Aboriginal Permaculture practitioners (a female and a male), and Anglo members of the Australian Therapeutic Community Association are flown in. The theme for the gathering is 'Exploring Therapeutic Community, Keyline and Permaculture as Processes for Softening Drug Use'. Neville’s younger brother Ken also flew in and carried out a Keyline survey of a large area of Petford with the help of a team of the Petford youth. Dr. Neville Yeomans is a Platform speaker at the UN NGO Rio 'Earth Summit' on UN-INMA Healing Action around Atherton Tablelands. Neville is a main speaker at the indigenous platform, and perhaps the only non indigenous person invited to speak at that platform. Neville's is accompanied to the Earth Summit by his son Quan Yeomans, a leading member of the Australian music group, 'Regurgitator'. In an ABC TV interview with Gabrielle Carey, Quan describes his father's Fraser House and UN-INMA work and the Rio Earth Summit as major influences on his life and music. Following Rio, the self help group UN-INMA engages in the drafting and disseminating of wordings of possible treaties that may be used as resources by adults, adolescents and youth interfacing with, and engaging with Indigenous and Unique People. Akame and UN-INMA support folk at the 1992 Petford gathering sign the Unique People (UP) and Unique Young People (UYP) Treaties. During 1992-1994 Dr Les Spencer makes many trips to engage closely with Dr Neville Yeomans in action research on the Atherton Tablelands INMA Project. Dr Spencer writes up this action research with the support of Dr Andrew Cramb and Dr Dihan Wijewickrama of the Australian Wellness Association, as well as having discussions about the INMA action research with Professor Stuart Hill and Professor Tony Vinson. Dr Yeomans terms ‘natural nurturers’ those who are naturally good at nurturing others and he makes many visits to the Atherton Tablelands Region seeking out, evolving links with, and linking up natural nurturers in the Atherton Tablelands Region. He especially uses Yungaburra Market, Kuranda Market and Malanda Market as places to find and meet natural nurturers and link them with each other. Dr Neville Yeomans is continually linking natural nurturers up with each other so that they begin sharing in friendship networks and passing between themselves news of healing wellbeing actions that work. Neville is living in his house in Bondi Junction and forms Healing Sunday where 25 healers he has linked together invite 25 others each month for 18 months to experience healing ways. This dispersed healing community grows to over 150 people who are introduced to the Atherton Tablelands Inma Project. Neville establishing a Healing Wellbeing Centre, Family Mediation Centre called Mediation Matters, and UN-INMA Centre in his House at Yungaburra. 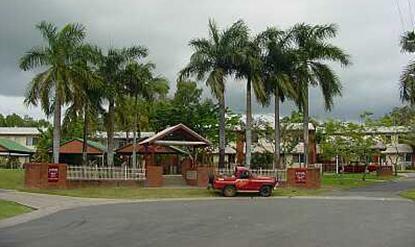 Neville establishing therapeutic community Houses in the Cairns Atherton Tablelands Region. Dr Yeomans set up an INMA based in a house in Edgehill in North Cairns. Criminologist Professor Paul Wilson in his book A Life of Crime writes of his supported life changes while living in one of the Inma therapeutic community houses set up by Dr Neville Yeomans in Queensland. Various folk set up the Keyline Foundation and start a newspaper and begin setting up an Archive relating to P.A. Yeomans work on evolving Keyline. Neville uses Keyline as a model for his evolving of Cultural Keyline and applies these understandings and ways in forming the Inma Project in the Atherton Tablelands. Since A. W. Clark and I produced the monograph ‘Fraser House’ in 1969, I have moved to private practice in Cairns, North East Australia. This is an isolated area for this country, but is rapidly becoming an intercultural front door to Melanesia and Asia. ‘Up North’ the therapeutic community model has extended into humanitarian mutual help for social change. Two of the small cities in this region have self-help houses based on Fraser House. An Aboriginal Alcohol and Drug hostel is moving in the same direction, as are other bodies. These are facilitated by a network called UN-Inma, the second word of which is aboriginal for Oneness. Laceweb person commences the study of the Sociology of Knowledge with Werner Pelz at La Trobe University for his Social Science Degree; This person commences study with Terry O’Neill as a para-professional crisis counsellor and has 18 months experience as a crisis counsellor in the student counselling centre. Terry O’Neill’s counselling competence was furthered during his experience of working in Fraser House with Dr Yeomans in the 1960s. The head of the Latrobe University Sociology Department is Professor Alf Clark whose PhD researched Fraser House. Clarke co-wrote with Neville the book published in 1969 titled ‘Fraser House – The Theory and Evaluation of a Therapeutic Community’. Clarke, a lecturer at the University of NSW at the time, was also the head of the Fraser House outside-research team. Akame (self-help group) and a small group of Aboriginal and Islander women energise small gatherings of Aboriginal and Islander youth on Dr Neville Yeomans Black Mountain Road rainforest property beside the Barron River in the Kuranda rainforest. Dr Yeomans travels through Atherton Tablelands energising the Region as an INMA – Interpersonal Normative Model Area. Lien, Neville’s wife, a superb Vietnamese cook, makes feasts and hosts parties for the folk that Neville is linking with in the Atherton Tablelands Region continuing the tradition of the self-help group Mingles that Neville, Lien and others energised in Sydney in the 1969-1971 period (refer later). Lien Yeomans in her book ‘The Green Papaya’ writes that she and Neville ‘entertained artists for fun, and social reformers and medical practitioners for favour’. Neville writes paper titled, ‘Mental Health and Social Change’ about the Atherton Tablelands INMA Project. T2 (a) commences with the mobilization of extra-Inma supporters nationally. T2 (b)(i) mobilization of those who will come to live in, visit, or work in, the Inma. T2 (b)(ii) mobilization of those who will guarantee cogent normative, moral and economic support combined with national and international political protection for its survival. By T3, the effects of T1 and T2 have largely transformed the Inma, which is now a matured multipurpose world wellbeing transitioning model. The Atherton Tablelands INMA Project is currently ahead of where Neville envisioned it would be, with T2 (b)(i) well under way. 1969: Dr. Neville Yeomans and Professor Alf Clark write a book on the precursors to the Atherton Tablelands INMA Project. Professor Clark goes on to be head of the Sociology Department at La Trobe University in the late 1970’s and through the 1980’s when a Laceweb person was studying Sociology of Knowledge at La Trobe University. 1969: The Total Care Foundation is incorporated by Dr Neville Yeomans and members of the following self-help groups: Chums (Care and Help for Unmarried Mums), Mingles, Connexion, Inma, Inma Nelps, and Nexus Groups. These self-help groups tap into the free energy among people who enabled the Watsons Bay Festival in 1968 and the Paddington Festival in 1969 that spawned the Paddington Bazaar, now an icon on the Sydney cultural scene. They also energised the Centennial Park Festival and the Campbelltown Festival that spawned the Aquarius Festival, and the people that energised all of these Festivals help form the first ConFest Festival in 1976, as well as the Cooktown Festival in a very remote difficult to get to area on Cape York in 1978 – attended by Dr Neville Yeomans and Dr Jim Cairns, Deputy Prime Minister of Australia in the Whitlam Government (and Acting Prime Minister during Cyclone Tracy Aftermath, and hosted by two residents of Yungaburra on the Atherton Tablelands, one of whom knew Neville in his Fraser House days and ends up per chance living opposite Neville in Yungaburra. 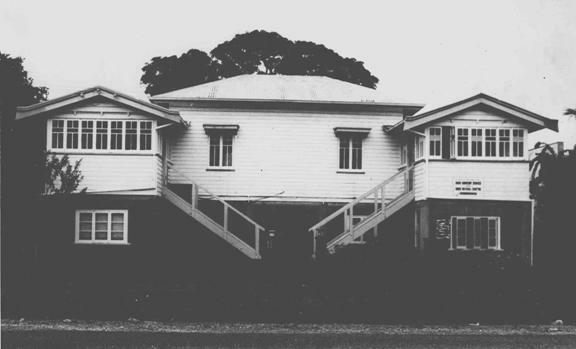 1968: Professor Alf Clark completes his PhD through University of NSW on Dr Neville Yeomans’ Fraser House, Australia’s first therapeutic community and associated precursors to the Atherton Tablelands INMA Project. Emeritus Professor Tony Vinson and Professor Paul Wilson join with Dr Yeomans in forming the Psychiatric Research Study Group which is recognised as the pre-eminent social science research group in Australia at the time with around 160 members from all of the social sciences including psychiatrists, psychologists, sociologists, criminologists, social workers, anthropologists, chaplains, pastors, prison officials, as well as church leaders and business leaders – all passionately interested in group processes. They met on the grounds of Fraser House and kept extensive archives. Dr Terry O’Neill worked with Dr Neville Yeomans in developing precursors to the Atherton Tablelands project at Fraser House and went on to head up the Student Counselling Unit at Latrobe University. Dr O’Neill trained a Laceweb person in crisis counselling at that University Unit. BUT - it is also the only continent not at war with itself. It is one of the most affluent nations on earth. Situated at the junction of the great civilisations of East and West it can borrow the best of both. Of all nations it has the least to lose and most to gain by creating a new synthesis. Neville also said that the Region to the immediate North of the Top End holds more than half of the world’s indigenous people – by number and by groups; therefore the Australia Top End is ideally located to link into and engage that wisdom. While on that world tour Dr Yeomans has a lengthy discourse with the social theorist Talcott Parsons. In 1998 in Neville’s view, Fraser House and its outreach was evolving social theory and clinical sociology practice and process that were way ahead of Parsons work, especially relating to fostering social transforming to wellbeing. Neville also evolved with resonant others the Rapid Creek Project in Darwin as another INMA. Neville’s first INMA was the Fraser House Project in North Ryde Sydney that commenced in 1959 after preparatory action in 1957. To the common comprehension, the incomprehension is never an occasion to stop and look at its own powers of comprehension, still less to notice their limitations. To common comprehension, what is incomprehensible remains merely offensive – proof enough to such comprehension which is convinced it was born comprehending everything, that it is now being imposed upon with a sham. The one thing of which sound common sense is least capable is acknowledgement and respect Heidegger, 1968, 76-77). For a world sorely in need of transforming towards wellbeing for all life forms, the Atherton Tablelands Wellbeing Inma Project continues to emerge as a global model of significance. Refer (Regional Emergency Psychosocial Support Network, 2002; 2003a; 2003b; 2003c; 2003d; 2004a, 2004b; 2004c; 2004d). Refer (Appendices 38 & 39); these Treaties are also signed in the Philippines in 2004.